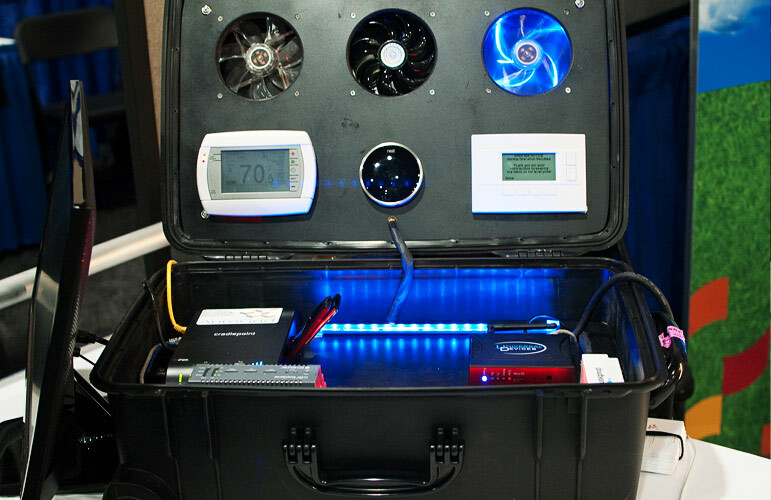 Companies showed off their latest clean energy innovations at the ARPA-E Summit. The Department of Energy’s Advanced Research Projects Agency for Energy funds R&D in energy technologies that are too early for private funders to pick up. It’s funded hundreds of projects since it was first funded in 2009 in areas including carbon capture and storage, power electronics, and solar power. 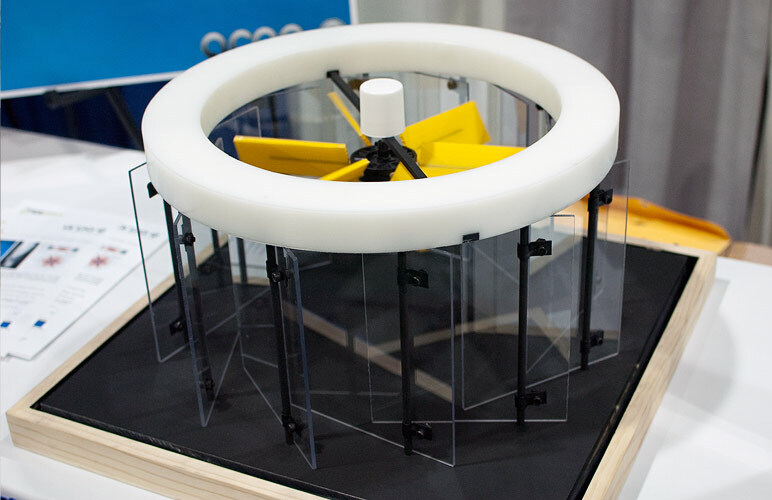 This is a model of a generator being developed by the Georgia Institute of Technology that looks to take advantage of natural air movements in hot areas. When the sun’s heat hits the ground, a layer of hot air forms at ground level. If that ground-level air is hotter than the air above, it can create upwardly moving whirlwind. In nature, this columnar vortex phenomenon creates “dust devils,” or spinning whirlwinds that lift dirt off the ground. In the device, hot air rises through the turbine, generating electricity. Early-stage startup Ubiquitous Energy has developed solar cells that absorb ultraviolet and infrared light, rather than the visible light portion of the spectrum. 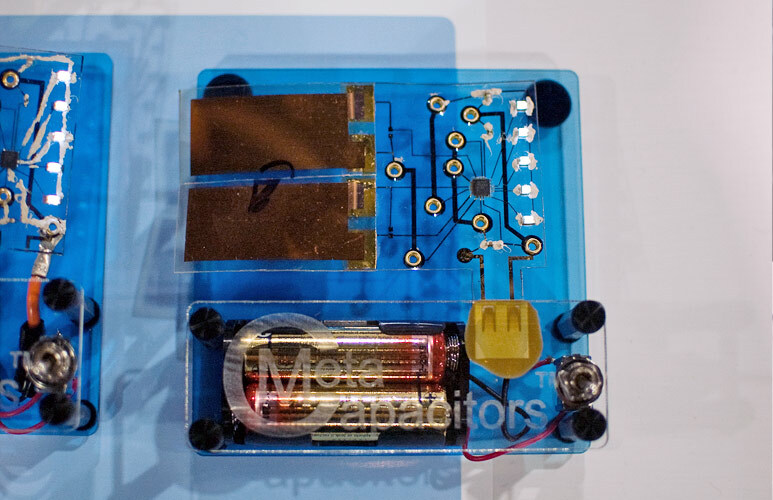 That allows it to make solar cells that generate electricity but are transparent. 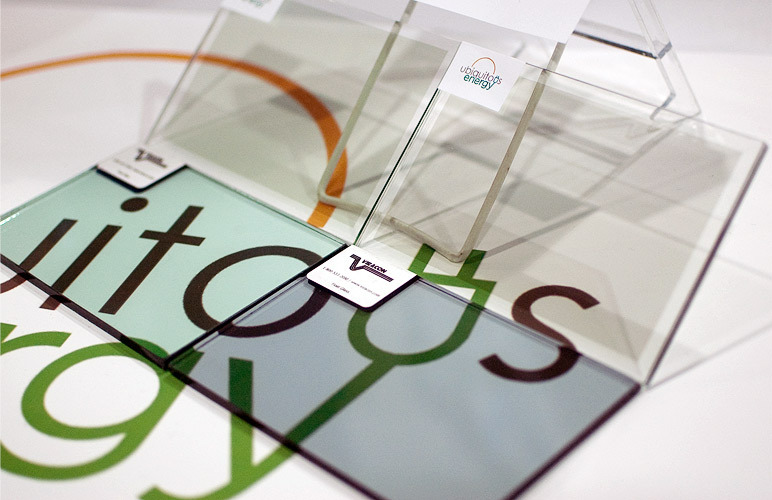 This photo shows its cells layered onto glass next to traditional window glazing on the table. The company hopes the technology will be used on power-generating windows or placed over screens of e-readers and tablet computers to recharge them. AC Kinetics debuted control software for electric motors (such as the one shown here) that improve performance and efficiency. The company says its algorithms reduce energy consumption by 10 percent to 40 percent, which could extend the range of electric vehicles or make factories more efficient. Flexible capacitors made with a nanoparticle ink (the brown films shown here), could make LED lights cheaper and smaller. They’re part of a power electronics package being developed by the City University of New York’s Energy Institute. Silicon Valley startup AutoGrid Systems is developing software that will allow utilities to send price-change signals to millions of customers, prompting them to reduce energy use. The system could help utilities accommodate fluctuations in wind and solar power. At their display, they illustrated how the system could communicate with thermostats to control cooling systems, if customers agree to participate. 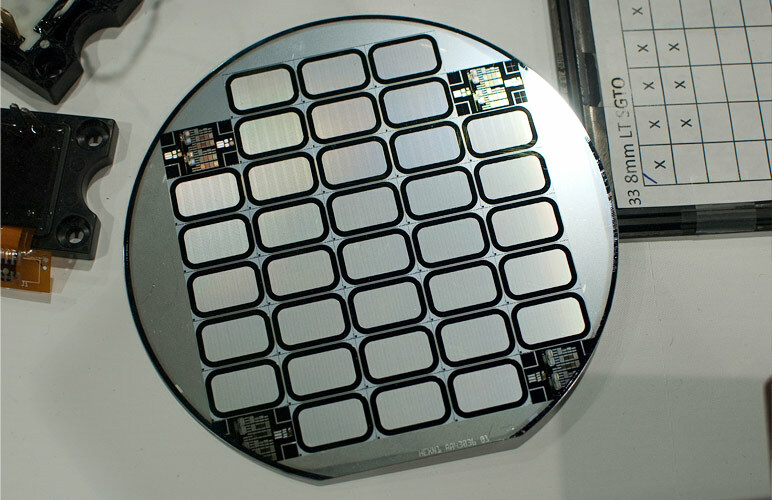 The high-voltage silicon carbide switches on this wafer could be key to replacing huge 8,000-pound transformers–which are used to step down high-voltage power from the transmission grid for local distribution–with suitcase-size electronic transformers that weigh 100 pounds. The transformers are being developed by Silicon Power. Startup PolyPlus is making lithium sulfur batteries it hopes will store far more energy than lithium ion batteries, the type used now in electric vehicles and portable electronics. It’s also developing lithium water and lithium air batteries. 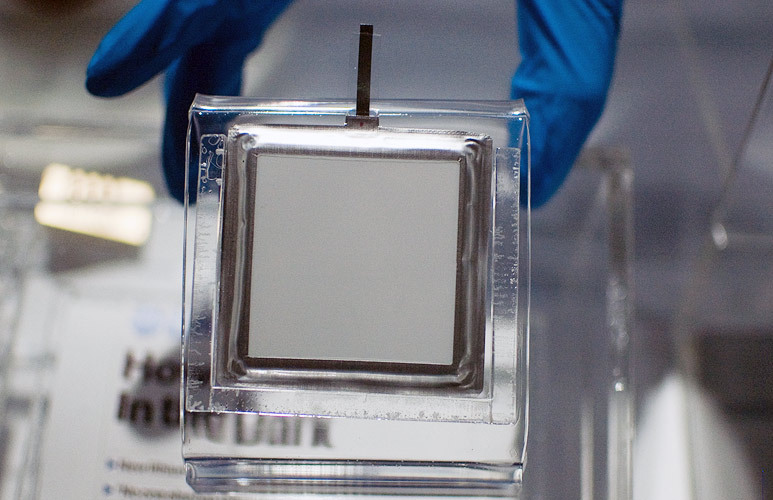 All of them rely on a ceramic membrane, seen here, that is impervious to lithium but allows other materials to flow through it. It intends to start manufacturing the membrane at a factory in Berkeley, California, in the next couple of weeks. 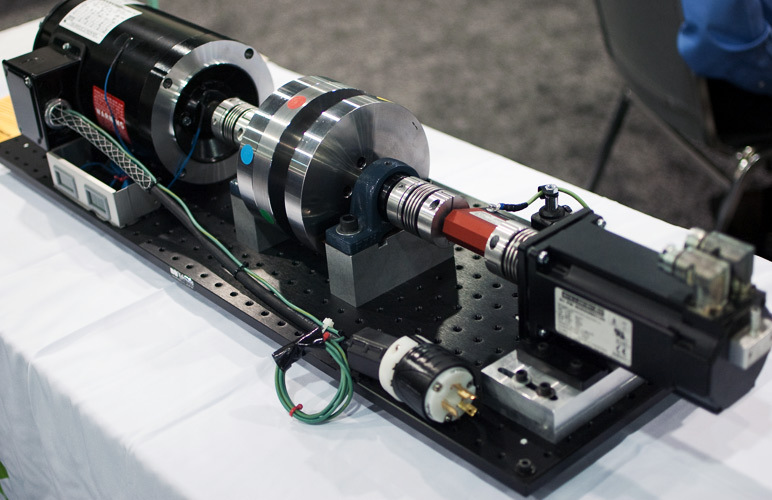 ARPA-E recently hosted its annual summit near Washington, DC, where researchers have the chance to show off their latest work. Here is a sample of some of the most intriguing projects on display.